India night is all about sharing the culture with Bozeman and MSU. 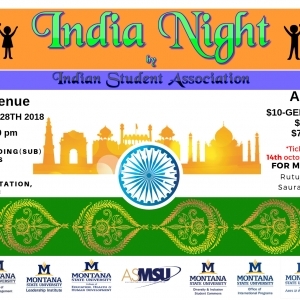 India Night is also an event representing diversity and unity. 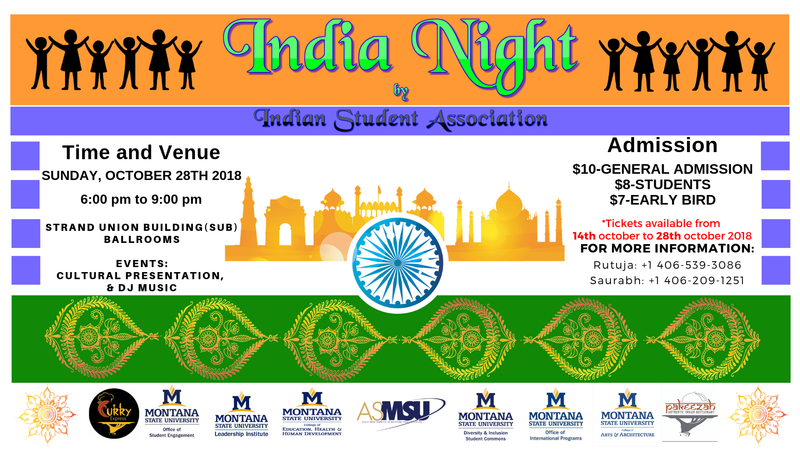 The event, which is put on by the Indian Student Association, includes a cultural performance, music and a delightful hint of Indian cuisine. Tickets are available from Oct. 14 to Oct. 28. They cost $10 for general admission, $8 for students and $7 for early birds.